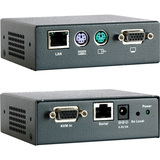 PX USB is a high performance KVM IP Gateway providing complete BIOS level remote kvm access and control of your computer or server, from any location. PX USB comes with 256 AES security as standard, and is equally adept in small business environments, remote support applications, and Enterprise data centers. Whatever your circumstance, wherever your computer, PX USB gives you the confidence of complete access and control, always. The PX USB features virtual media technology allowing a remote user to effortlessly move files from his USB or CD-ROM drive to target servers that may be anywhere in the world. With PX USB you no longer have to be physically present at each server in order to install or recover software applications and install OS patches. 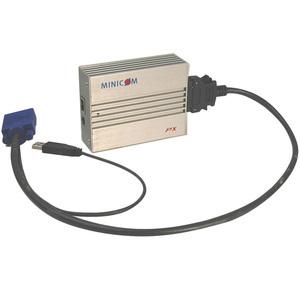 The single-port PX USB handily solves the problem of blocked server access in the data center. 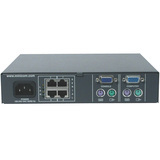 With a number of PX USB devices connected, multiple remote users can control multiple servers, all at the same time. Additional PX USB devices can be added as your data center grows. PX USB is ideal for corporations operating servers at multiple sites such as testing labs, university campuses, branch offices, and multi-floor facilities. 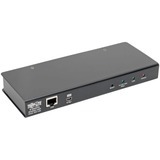 The rack-mountable PX USB also uses Power over Ethernet (PoE) technology for efficient, clutter free power management.